More than a thousand years ago, intrepid Viking explorers from Scandinavia set out to discover what lay to the north and west of their Norse homelands. Centuries later, we venture in their wake, making similar discoveries as we trace Viking routes to Iceland, Greenland and the far northern realm of Svalbard, a frozen Norwegian archipelago home to polar bears, throngs of seabirds and thriving marine life. Sailing northward from Oslo into the Barents Sea, we reach Spitsbergen Island, our first port of call. Cruising the western edge of Svalbard, continue into the Greenland Sea and down the rugged icebound coast of the world's largest island, rent by fjords and covered with a permanent ice cap two miles deep at its thickest point. Crossing the Denmark Strait, our voyage is complete with a survey of the northwest corner of Iceland, the least-visited region of this small island nation on the edge of the Arctic Circle. 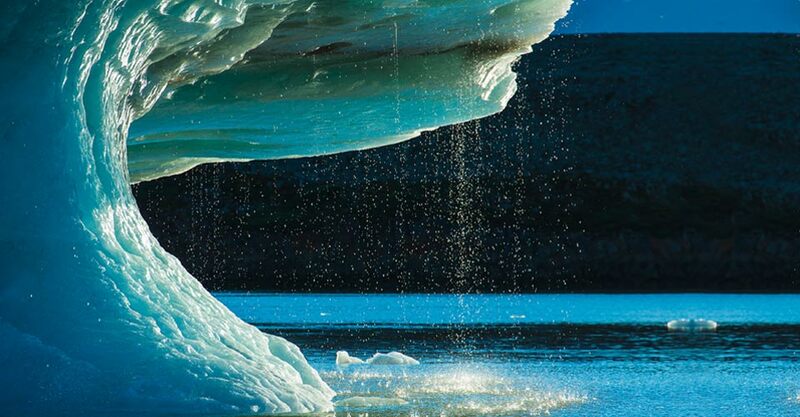 Lindblad's expedition ships offer a thrilling, up-close experience of High Arctic Svalbard, Greenland and Iceland. 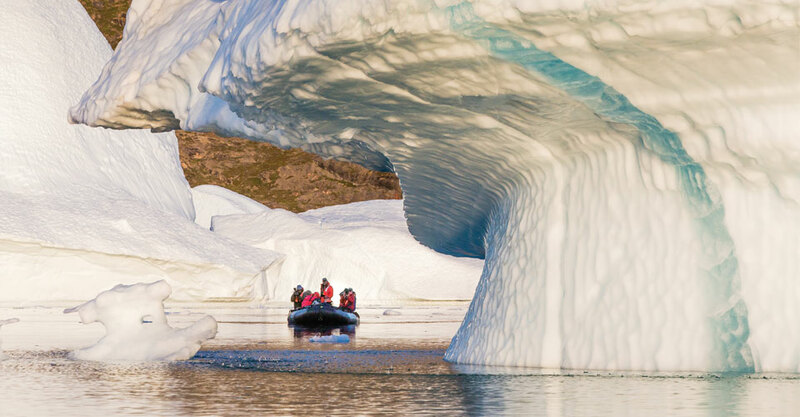 The smaller size of our National Geographic ships grants us access to narrow fjords and secluded channels that big ships can’t reach, while full stabilization and state-of-the-art technology provide supremely safe passage. Guests also have personal access to naturalists, guides and crew, with a chance to develop genuine relationships. 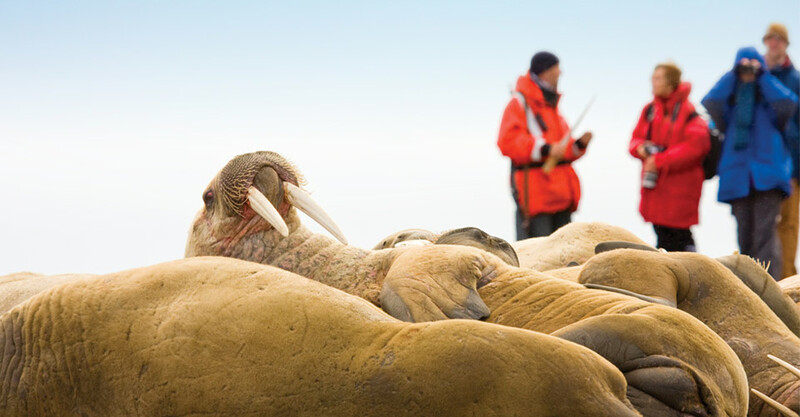 This adventure cruise offers an authentic expedition-style experience with a veteran polar crew and staff. 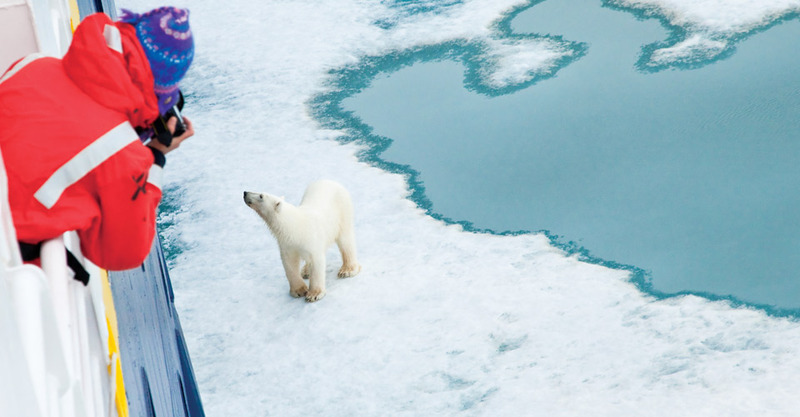 As pioneers in commercial polar cruising, Lindblad draws upon more than a half-century of experience navigating ice-laden Arctic waters, assuring safety and a thorough immersion in some of the planet’s most stunning and remote wild realms. 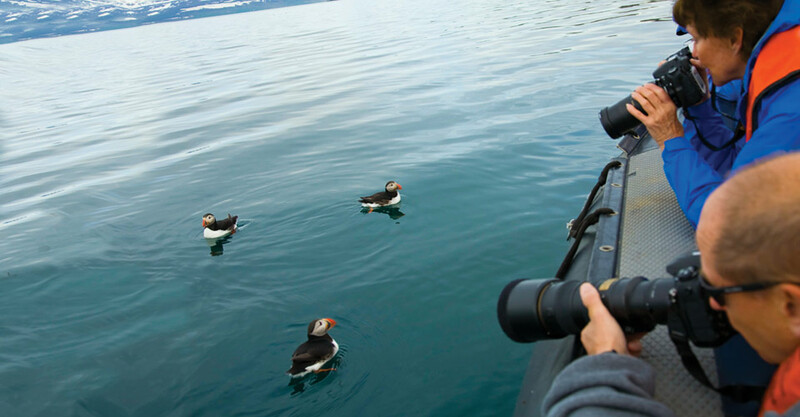 Aboard Lindblad's state-of-the-art expedition ship, you'll sail with a highly experienced Expedition Leader, assistant Expedition Leader and a team of naturalists with relevant specialties. Lindblad's seasoned captains and officers have produced their own soundings and maps of areas that otherwise are not well charted, allowing us to reach lesser-known places in these destinations that most travelers won't see. 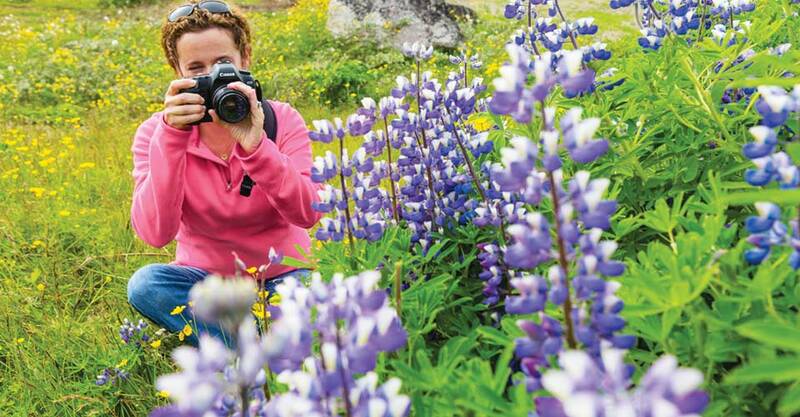 A photo instructor certified by National Geographic is also on board to help you get superlative photos of scenery and wildlife. Choose from a variety of adventures that immerse you in the rugged beauty and wildlife of our wild Arctic destinations, accompanied by expert naturalist guides. Motorized rigid Zodiac rafts get you close to cliffside bird rookeries and provide access for shore landings, while a large fleet of double kayaks provides an eye-level look at icebergs and marine life. These sea kayaks are chosen for their stability in polar waters, and even beginners will find that maneuvering them is not difficult—and coaching is provided. A custom-designed floating platform allows kayaks to be launched from most any location. With a flexible itinerary, our expedition team can follow the best weather, ice conditions and wildlife viewing in a quest to present the most rewarding experience for our guests. The goal is to deliver a genuine immersion in Arctic nature, with time and freedom to accomplish that—especially in Svalbard. Whether it’s viewing polar bears and walruses from Zodiacs, walking ashore to look for Arctic fox and caribou, or spying spouting whales under the midnight sun, each day's wildlife encounters will enhance your knowledge and appreciation for the myriad wonders of our Arctic environs. An undersea diving specialist accompanies every voyage. Wearing gear to survive in polar waters and carrying nearly 200 pounds of equipment, this unique expedition team member shoots high-definition footage of the frigid world beneath the waves, teeming with life—and it's then shared on plasma TV screens in the ship's lounge. In addition, the ship’s remotely operated vehicle (ROV) dives up to 1,000 feet to reveal areas below the surface that are as unexplored as the surface of the moon. By sharing videos of potentially new species with scientists, such as a large worm we got imagery of in Antarctica's Weddell Sea, Lindblad expeditions actively contribute to scientific research. A video microscope helps naturalist guides show and explain a multitude of elements in the Arctic environment, including tiny organisms in the marine ecosystem’s building blocks—like a krill’s body, at 80x magnification. High atop the ship’s mast, a crow’s nest camera provides a 24/7, 360-degree view on your surroundings that you can watch on your cabin TV. 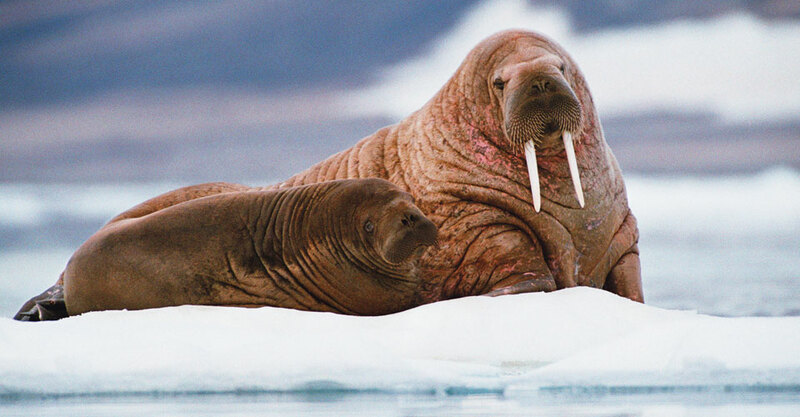 And underwater microphones are deployed to listen in on Arctic marine mammals, offering real-time sounds of nearby whales and other life below the surface. You'll voyage with an enthusiastic team of expert interpreters whose knowledge will vastly enhance your appreciation for the natural and cultural history of these northern environments. Each voyage includes a senior Expedition Leader, a team of veteran naturalists, a National Geographic photographer, an undersea specialist, expert guest speakers, a video chronicler and a wellness specialist. Your naturalist guides' focus is the Arctic, and you'll hear from a diverse slate of speakers including wildlife biologists, ornithologists, marine scientists and polar historians. 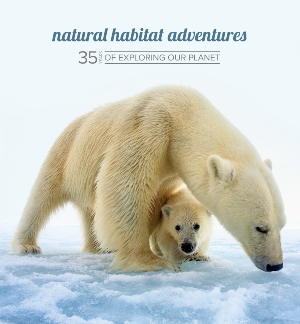 Natural Habitat Adventures is a standard-setter in eco-conscious travel. We were the world’s first 100-percent carbon-neutral travel company. And we continue to break innovative ground in adopting practices that help to protect our global environment. Because of our concern for the environment, we are pleased to partner with Lindblad Expeditions for our Adventure Cruises, a company that shares our values and commitment to the planet. Fill out the form below to receive additional information about our Svalbard, Iceland & Greenland's East Coast or give us a call at 800-543-8917. Hi Nat Hab, I’m interested in your Svalbard, Iceland & Greenland's East Coast. Can you please contact me with more information?